As a speaker on international retail trends the pressure is always on to find new presentation content that is aspirational, relevant to the audience right now and a sprinkling of useful ideas about how they might continue to steer their stores in the direction that consumers covet. Over the past couple of years we have seen the cookie cutter approach to design being ditched by multi-store brands and replaced with a push to authenticity and relevance to the local neighbourhood. Back of house operations remain the same whilst the customer interface is customised to ensure the shop is considered cool in the local postcode. The cafe pictured above could easily be in my neighbourhood. In fact its 15th Ave Tea and Coffee in Seattle by, yes, Starbucks! (can we have their local relevance store revamp here in Oz please). 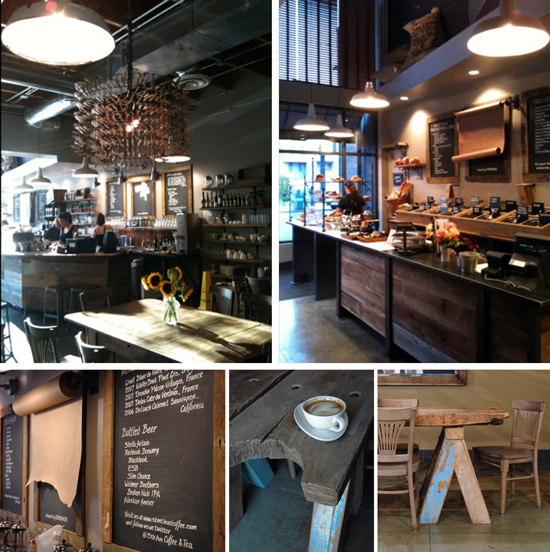 Industrial chic and reclaimed materials with context have been all the rage in retail land for the past few years. So what's next? My guess is more personalisation, more curation, more quirky, more warmth, more connection to the arts and community networks, more multi use of store spaces during and after trading hours and of course, the million dollar+ question... how the hell you modularise all that for roll outs with local relevance? Naturally you are likely to need clued on bods like POD on your brand/design development team! Vanity Fair’s World Architecture Survey asked 52 of the world's leading architects, critics and deans of architecture to nominate the 5 most important buildings built since 1980. The most voted building was Frank Gehry’s Guggenheim Museum in Bilbao, Spain. 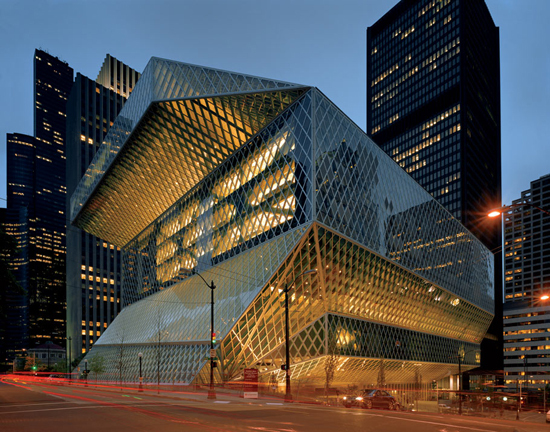 I thought Rem Koolhaas's Seattle Central Library quite spectacular. Via Vanity Fair.